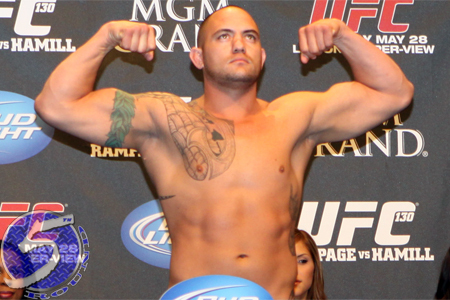 According to the UFC’s Brazilian Twitter account, a heavyweight brawl between Travis Browne (Pictured) and Chad Griggs will go down in Montreal, Quebec, Canada. Browne owns a practically perfect 12-0 mixed martial arts record. Ten of his victories have come before the final horns have blared. A controversial draw with Cheick Kongo at UFC 120 is the lone blemish on his resume. The 265-pound scrap marks Griggs’ big league debut. The Strikeforce transfer has rattled off six consecutive wins, five of them came via some form of knockout. Unfortunately for Griggs, Valentijn Overeem submitted to strikes this past June to snap his vicious knockout streak. Although a specific date or venue have not been confirmed for UFC 145, the trusty rumor mill claims the Bell Centre in Montreal is the front-runner to host the March 24th show.